Hemlock Ring Blankie-Vacation Projects Begin! Lately, I’ve been bitten by a lace doily bug. 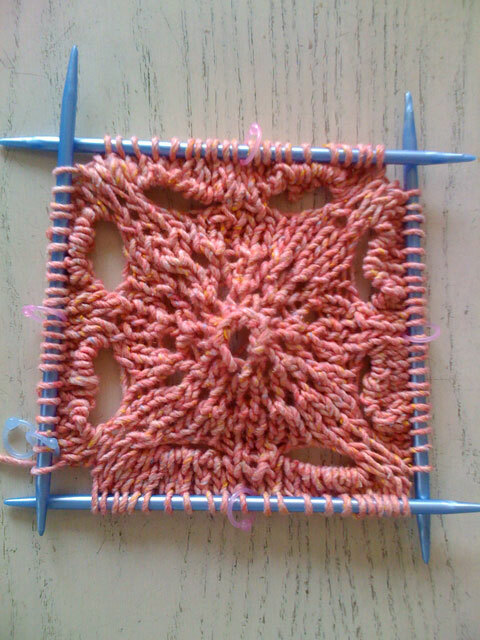 There is some about knitting round and round and watching the pattern slowly evolve. 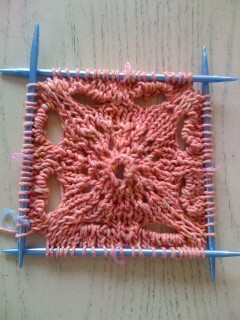 Perhaps its the influence of Marion Kinzel’s Lace Knitting Volume 1. As a result, I’ve been trolling Ravelry and the internet for vintage lace doily patterns. In the process, I kept finding myself drawn to Jared Flood aka Brooklyn Tweed’s Hemlock Ring Blanket which is a modification of a traditional doily pattern using a thicker wool. This pattern has roughly 2,700 projects on Ravelry! In part, I attribute this to the fact that it’s a free pattern and the recommended yarn (Cascade Eco) has a lot of yardage so that a project costs about about $30.00-$35.00. (Mind you this is a lap blanket not a full size blanket.) While I’m usually not one to follow online knitting trends, the Hemlock Ring Blankie has made it into my queue. 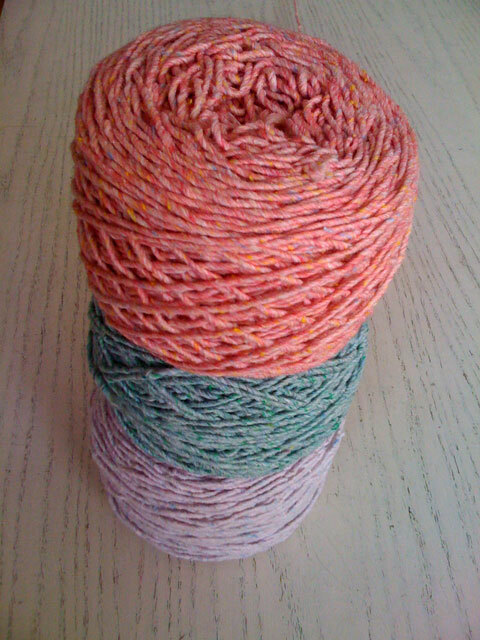 From a yarn swap last spring, I have 5 skeins of Farmhouse Yarns’ Silk Spun Cotton or 1,000 yards. It’s a thick yarn consisting of American grown cotton, American grown wool and silk. It’s made by Carol Martin of Hopyard Spinnery and contains 200 yards per skein. the label recommends using a size 8 needle. Since I’m making lace, I plan to use my 10.5 needles by Susan Bates in pink and purple which are plastic and have wonderful points. The yarn has wonderful names like Mint Julep for the green which is a blend of greens with a smattering of blue. Since this is a beach vacation project, the sun light plays wonderfully on the color. It turned out that the Hemlock Ring Blankie made a great vacation project. First, it becomes a relatively big project very quickly so being away where you don’t need to shlep it to knitting circles and the like is great. Also, the weather at Fire Island was cooler and windy than average for June. 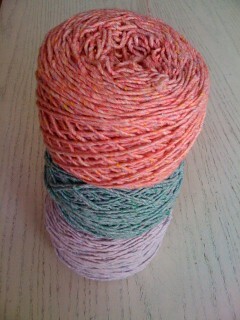 As a result, it was good to have a knitting project with a thicker yarn that could be worked easily. The finer lace shawls were difficult to knit between keeping the pattern in my lap and being able to work the yarn.